No book club this week and no Wednesday morning program. The EL program went well - only a few families, but I made some really good connections and having the EL teachers there to translate meant that those few families got information they will share with other families and so on. The EL teachers also got a lot of information they can share with their students and families and generously translated several library brochures for us! As of Thursday I am finally taking a few days off. It's Cybils time! Alex and his cousin Sarah are visiting their grandparents. Alex' main concern is not being allergic to anything, so his over-protective mother won't get called. Unfortunately for him, he appears to be allergic to....something. Something that keeps moving around. Something that's...a ghost?? It's official. Alex is allergic to ghosts. Horribly allergic. And this ghost just can't leave him alone - he wants some help. But help with what? Is he a good ghost or a bad ghost? Can Alex and Sarah solve the mystery? Wacky black and white sketches are scattered throughout the story which is a fun mixture of humor and mystery. There's even a nod to local history departments and original research. Verdict: A fun new addition to the beginning chapter genre. Excellent mystery, mildly spooky elements, and no real scary parts. I don't have the space for another beginning chapter series, but if I did I'd be getting this one. Rip is black, Red is autistic. But they're so much more than just their labels. They both love basketball, even though Red can't play games because it's too much sensory input. They're both ready for the best fifth grade year ever. But nothing is what they expected. They have a new teacher, Mr. Acevedo, who doesn't believe in homework or testing and gives them crazy assignments that test Red to the limit. He's also coaching the basketball team and Rip is worried that the new way the team is run won't work, never mind winning any games! However, as the school year continues, both Rip and Red face challenges, make new friends, and come to see the world in a different way. There are a few black and white illustrations sprinkled throughout the book that give it flair and interest although not enough to label it a notebook novel. I'm of two minds about this book. On the one hand, it hits a lot of school book tropes I don't like - the crazy teacher who bucks the administration and breaks the rules, the pointedly diverse kids that can sometimes devolve into stereotypes. But as I got further into the book, it devolved from the stereotypes. Not everything Mr. Acevedo does works. Red has sensory breakdowns from the loose class structure and Rip and the resource teacher have to help him out. Mr. Acevedo gets in trouble with the administration and parents and has to focus more on testing. He tries to make accommodations for Avery, who is in a wheelchair, and she just gets angrier. Of course, at the end of the book it tips back a bit - Red makes free throws that win them the basketball game against impossible odds, Red, Rip, and Avery all do astonishingly well on their tests, etc. 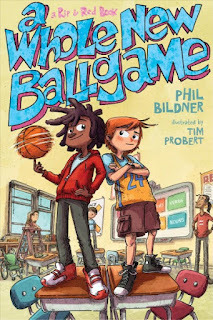 Verdict: There's enough basketball and humor in this that I think it will appeal to kids. It packs a lot of different issues and subjects into the book, but it's a more realistic look at disability than most of the recent middle grade books I've seen, especially of autistic kids, and it includes a lot of messages about trying different things and being resilient when things don't go the way you'd hoped. All in all, it was a good book that I'd recommend. I'm always torn over series nonfiction easy readers. On the one hand, if well-done they can be very popular and our easy reader section has seen rapid growth in circulation in the last year. Nonfiction is very popular in easy readers and I have a lot of teachers who request these titles. On the other hand...I hate shelling out $20 or more for an easy reader that I feel shouldn't be more than $10 and why can't publishers make them in the normal rectangular format? Still, I like Lerner and I was interested to see how their new Bumba Books imprint turned out so I borrowed one from a neighboring library to take a look. The book is a larger square, about 9x9 inches. The background is colorful splotches, some layered on top of each other, some alone. Each spread has a photograph, a short paragraph of text, and some also include questions. For example, The left side of the page is dark purple, with a lighter purple splotch. Inside that splotch is the main text, "Some vets treat big animals. This horse hurt its leg. The vet will fix it." Layered below this is a turquoise splotch with the question, "What are some other big animals vets might help?" The facing spread shows a woman in green scrubs examining a horse's hoof. 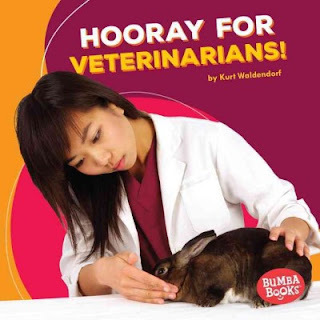 The last few pages have a picture glossary of words, a diagram of some tools used by vets, "tool to check heartbeat" is the label on the stethoscope, a brief index, and short bibliography. The photographs show a range of genders and races but predominantly white women. Verdict: This is perfectly acceptable, even excellent, for series nonfiction and easy reader nonfiction, but I can't help but feel the inner pages will have worn out and the photographs dated long before the binding wears out. How do you feel about library bound series nonfiction for easy reader sections? I both like and dislike this book. On the one hand, it's a joyful celebration of summer, featuring a diverse cast. The story begins with a peaceful scene of a suburb, complete with kids biking and adults watering lawns in the background, with splashy johnny-jump-ups blazoned across the page. The story continues exulting in the sights, sounds, and smells of summer. Kids play outside, ride their bikes, sell lemonade, participate in a Fourth of July parade, visit the ice cream truck, and finally head to the lake with their parents and go camping. 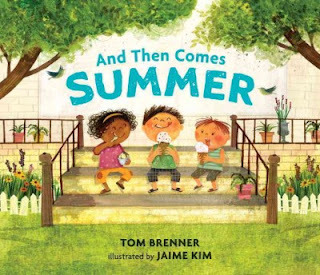 The illustrations are colorful, splashy scenes of a family with two exuberant children, possibly biracial, exulting in the heat and fun of summer. But....this isn't a summer I've ever seen. The small town parade, okay yes. But I live and work in several small towns and there are very rarely kids out biking, running lemonade stands, or just playing outside. They're all enrolled in swimming lessons, summer school, or at camp. The kids who are wandering loose around town certainly can't afford camping trips and don't have a cohesive, traditional family to go with anyways. I'm always suspicious of these carefully diverse suburban settings and this one seems like an idealistic vision of 1950s summer vacation with a more modern view of diversity. But this is me looking at the book as an adult. Will kids recognize the dichotomy? Will they be interested in a view of summer that they've never personally experienced? Or is this just nostalgia for adults? It's hard to say. I know that a lot of adults will love this book, harkening back to what they remember as a more relaxed time in their lives and a more independent summer for kids. Some kids may enjoy it, recognizing the smells and feelings of summer, if not the specific activities. The illustrations are certainly attractive and convey a view of summer that I think a lot of small town and suburban Americans have in their minds. Verdict: I don't know. Seasonal books are usually popular and I like the illustrations but I'm just doubtful about the appeal. Jason Chin has written a number of picture books on nonfiction concepts. They are characterized by stunning visuals which take the reader into the story and concept and often show a second reader within the story being drawn into another place. 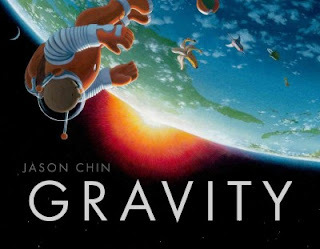 I'm working on expanding my book club choices for my younger readers to include more picture books and chose a title by Jason Chin that we haven't used before - Gravity. Bold, simple text accompanies lush illustrations to explain the concept of gravity. A small boy, complete with superhero cape and toys, is shown playing on the beach. As gravity disappears, all the toys (including an astronaut figure with brown skin tones) float out to space. Illustrating the different properties of gravity, the toys float past the moon, closer to the sun, and eventually, as gravity is restored, plummet to earth and land in a surprised family's backyard lemonade stand. Chin's full page illustrations are sometimes divided into panels, showing the different effects gravity has on earth and in space and how it affects everything around us. The final spread includes a variety of illustrated facts about gravity, from the different between mass and weight to how gravity is an attractive force and how it affects the solar system. A final end page shows the original boy from the opening catching a lemonade pitcher from the sisters' backyard stand. This would make a great read-aloud, but it also works well for beginning readers to tackle on their own, one of the reasons I chose it for book club. The simple, bold text includes only one or two words per page. My beginning readers can sound these out while following the concept through the picture. An older reader will be needed to read the information in the back, although it's clearly explained for younger children to understand. Chin's humorous take on gravity, showing things floating through the air and then falling to earth, will catch the attention of young listeners and readers and give them a laugh while they learn a new science concept. Verdict: If you missed this when it was originally published, now is the time to fill in the hole in your collection and purchase it! I'm using it for book club in September 2017 and, once I get the kids past the stigma of picking up a picture book, I think it will be popular. This week at the library; or, is September over yet? I helped a patron with a difficult reader's advisory question for their struggling reader and got warm and heartfelt thanks. When our computers went down I typed up a document for a patron. It's not something we'd normally do, but it was what they really needed and a service I could provide. I heard a storytime dad raving over Ernest and Celestine and showed them my movie list of unusual and "different" family movies. They were thrilled and thanked me repeatedly. I signed up several new kids for all three book clubs and most picked out books. Fergus the mouse is the best class pet ever - and he loves it! He follows all the rules and does exactly what all the other kids do - so he's very upset when he finds out he won't be going on the school field trip! Fergus decides this just isn't fair, so he dons his cap, his backpack, and slips aboard! The museum is amazing, but he runs into problems right away - like not having a field trip buddy. Fortunately, he meets museum mouse Zeke and the two have a marvelous time, exploring the museum exhibits of dinosaurs, a whale, a butterfly house, and more. When it's time to go home, Fergus and Zeke are fast friends and it looks like Miss Maxwell's classroom will have two class pets from now on! Heather Ross' art is cute and colorful. 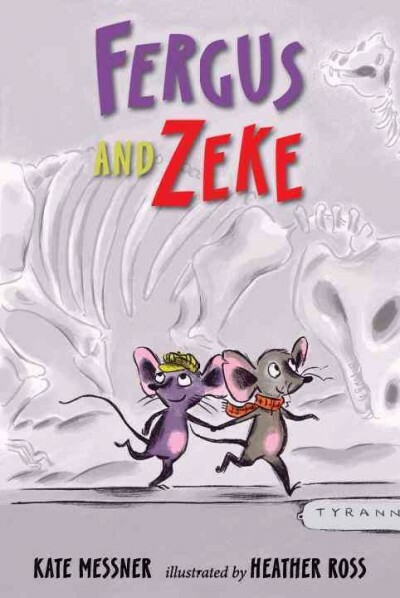 Her mice are an adorable pair, with big ears and some different touches to tell them apart - Fergus has a hat and is more purple, Zeke has a scarf and is gray. The classroom and surroundings appear to be upper class urban - the class is diverse but very small, no more than 9 kids are ever pictured. Everyone is clean and happy and the classroom is bright and cheerful. There's nothing wrong with this, I just get frustrated sometimes at the absurdly small classroom sizes in children's books. Verdict: If you're looking for cute animal stories to fill out your beginning chapter section this is a fun addition. I think I'll definitely use it in my book clubs if I can get enough copies together. A sweet story. Kelly's biggest problem has always been being invisible at school and not having the guts to speak up to her crush. Until now. Now she's gotten stuck babysitting her mom's boss's kid Jacob...and he's just been kidnapped by a genuine, real MONSTER. Turns out, monsters are real, deadly, and the only thing standing between them and the kids are....the babysitters. Kelly sets off with experienced babysitter Liz to get Jacob back and defeat the Grand Guignol once and for all. But it's not that easy. Along the way they'll encounter monsters, deadly danger, and even *gasp* an after hours party and Kelly's crush! Kelly's obsession with popularity, friends, and her crush even in the midst of monsters and deadly danger is realistic albeit a little frustrating. Throughout the story she grows as a friend, realizing that the other babysitters are good friends, even if they are weird, and overcoming her fear both of monsters and of the popular kids. At the end, Kelly isn't perfect - but neither are her new friends. She has found something she cares about though and she's willing to fight for the kids and through her own fears both big and small. 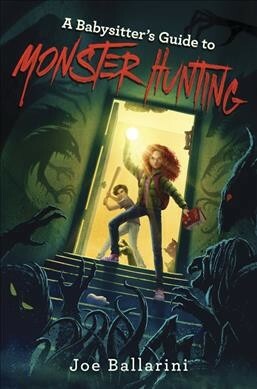 The story includes pages from the Babysitter's guide to monster hunting as well as descriptions of events happening outside of Kelly's narrative. The story has an open ending that's not quite a cliffhanger but leaves the possibility of future adventures of the babysitters. This is a brisk action/adventure fantasy with just enough creepy/gross monsters to interest readers who like a little creepy without turning off more sensitive audiences. It's firmly in the middle school range - it hints at middle school crushes, frustrations and angst, has several moments of genuine scariness as well as missing children, deadly weapons, and killing monsters, but doesn't include more mature relationship issues and language. Verdict: Strong female characters who are flawed but work through their flaws, nerdy kids who don't overcome their outcast status but accept it and move on, and lots of adventure and action make this a book that's sure to fly off your shelves, especially around Halloween. Recommended. This sweet little board book reminded me of Juana Medina's 1 Big Salad which mixes photographs of vegetables with pen and ink drawings. Osborn and Chebby, however, have created a cute story that is all their own. Allie, a sweet little girl in pigtails and jumper, goes out to the garden to collect vegetables. But this is no ordinary garden! The corn towers over Allie, a tomato is bigger than her head, and she barely see over a lettuce. Not only that, there are creatures in the garden; a carrot fox, zucchini snake, and pink potato rabbit all want their share. Allie shoes them away, and returns home with her basket full of vegetables, just right for her mom to make her a salad. I thought the illustrations were super cute, but they also really confused me. 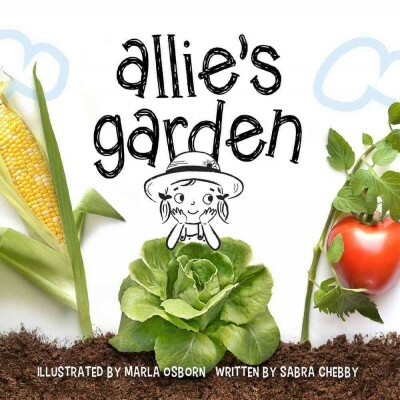 Allie is miniature, the creatures are all made out of vegetables but are also eating them? Somehow when Allie picks the vegetables they miniaturize into her basket. The rhyming text is fine, but not particularly outstanding, "I was pulling up lettuce/and happened to see/a floppy eared bunny/sniff, sniffing at me." Verdict: I would have been interested in this as a picture book. The dimensions of the art will confuse babies and toddlers and older children will be just as confused by the lack of explanation for the changes in size and why the vegetable animals are...eating themselves? A cute idea and will probably circulate, but most of interest to places that have a lot of gardeners. This story is a warm homage to every child who's ever had a beloved toy or piece of clothing that gave them confidence. 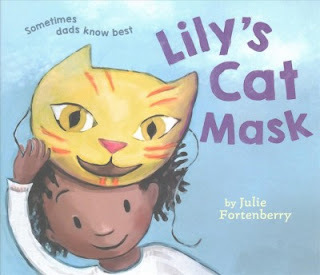 Lily is feeling a bit nervous about school and isn't really happy about shopping with her dad for new school things, but when she sees the cat mask she absolutely knows she must have it. It becomes her constant companion as she plays, imagines, hides, and stands out. But one day...it's gone. Her dad tries to make her a replacement, but it just isn't the same. Luckily, she finds her mask a few days later! When Lily starts school her mask is there...but she's only allowed to wear it as recess. Lily has trouble adjusting to life without her mask but gradually adapts to her classroom. Best of all, her teacher has a costume party and she finally meets a friend who understands just how much her mask means to her! The story is light and will be familiar to plenty of readers. What really stands out are the illustrations. Lily is not only one of the few brown-skinned characters who is the star of her own book, but her father and most of the adults in her world are also pictured with brown skin. The diversity shifts in her classroom - her teacher is Asian and the other pupils show what I've come to think of as the typical "diverse classroom" (a couple brown-skinned kids, at least one red-head, but still mostly white) - but the scenes of her family and her relationship with her father are powerful. Verdict: A sweet story, made all the stronger by its depiction of the bond between father and daughter. Perfect for sharing with children going through transitions to school or other new experiences. Having explored sharks and monkeys, Davey turns his attention - and graphic art skills - to cats. The book opens with a general explanation of some of the terms used like habitat, obligate carnivore, and a few simple notes on the general nature of cats. It shows the evolution of felids, including domesticated cats and sabre-toothed tigers. There are diagrams of cats showing how they are adapted to be hunters and to survive in their various harsh environments. Many of the illustrations have a seek-and-find aspect, none more so than the spread on camouflage where kids can search for five cats hidden in the images. The book then features interesting facts about a wide variety of cats from margays to tigers. There are comparisons of the biggest, smallest, and fastest, spreads of some rare and wonderful cats, some information on kittens, and cats in mythology. Back matter consists of a detailed index. 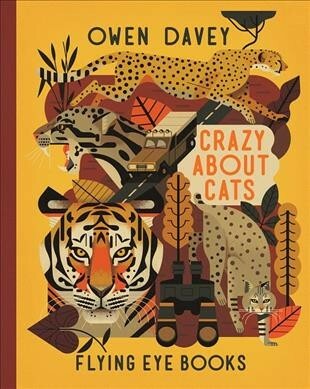 Owen Davey's stylized art is perfectly suited to this exploration of the world of big cats. The rich hues of orange, brown, and red are blended to create not only stunning portraits of cats and their unique patterned coats but also of their backgrounds, making every page a fun exercise in hide-and-seek. The text is really secondary to the illustrations, which will both charm and enthrall cat-lovers of all ages. There are a few drawbacks to the text - some of it is light and placed against dark backgrounds does not show up well, making it easy to skip some of the words. The book is clearly British in origin, with metric measurements throughout and an odd use of the word "wee" for urine. The evolutionary tree is laid out a little oddly, making it look like all cats evolved from the modern tiger. There are no sources for the information included. Verdict: While I wouldn't suggest this title for research purposes, it's a superb book for browsing and poring over with friends or alone, which is what it is designed for. I catalog this series in my picture book animal neighborhoods, where kids looking for cat books to read on their own or with an adult are sure to discover and enjoy it. Recommended. spider vs. an ant are elsewhere. I'm still working on streamlining and making detailed instructions for the marketing, specifically flyers, in-house marketing, and school marketing. I had a small but enthusiastic group at Messy Art Club - but of course this is sparking off all my program anxieties. Realistically, I know that school has just started, that there was not much marketing going into September, that the change from Thursday to Tuesday was not heavily marketed, and that people pack as much outdoor sports into the beginning of the semester, before winter hits, as they can. But I still freak out. I only had 1 child at We Explore (I reopened the room about an hour and a half later and repeated the storytime with 2 families) and our circ is down as well. I don't expect this to improve; I'm not doing my regular outreach this fall and so will have lost those connections as well. At least book club started off well - several kids who couldn't make it came to get books (or were given books. same difference) and we had our first teen maker kit checkout on Friday. This is a new beginning chapter series from Red Chair Press, a new acquisition by Lerner. Ick is a small dog. 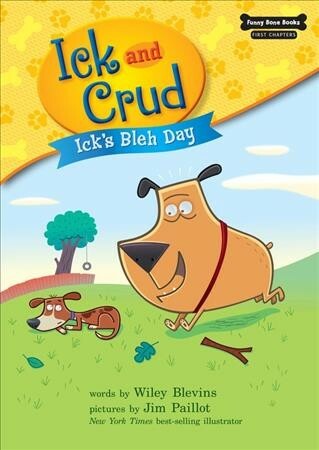 Crud is a big dog. Together they have adventures. In this story, Ick is feeling "bleh." and Crud takes him to get ice cream to cheer him up. Along the way they have three adventures; a muddy adventure, a soggy adventure, and finally an ice cream adventure! Will Ick feel more like himself? Or will he still feel bleh? The art is bright and cartoonish. Paillot uses the eyes of the characters to great effect, although Miss Puffy (the cat) has a more static face. Bob, their owner, is only pictured in the character sketches and is black (presumably he shows up more in later adventures). The children and other humans in the background show a range of diverse genders and skin colors. This is a beginning chapter book divided into 3 chapters. I was working from an ARC, but assuming the final format is similar it's a slightly oversize easy reader size - about 8x6. They are available in both paperback and library binding. The text is large and bold and the titles have around 1,000-1,500 words and 32 pages. They're more wordy than some other beginning chapters like the lower level Branches, but they have a good mix of art and words which should attract readers and their vocabulary is not too advanced. My only caveat is that some of my more sensitive parents won't like the one dog being named "Crud." However, that's always something you have to take into account when recommending titles, the individual needs and wants of families. 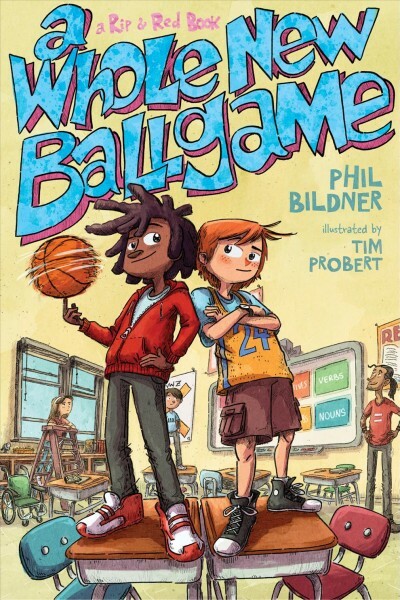 Verdict: If you have lots of fans of the Branches series and a need for more beginning chapters that are funny and cartoonish, this looks like a great series to invest in. I'm definitely interested in adding some to my collection and getting the kids' reactions at book club. Nell is used to being the odd one out; she sometimes has “episodes” where she sees animals instead of people and her only friend is in the hospital in a coma. When she sees a strange and horrible cloud drop a bloody shoe, she’s sure it would be better not to speak up, even though the village is getting more and more worried about the disappearances of mothers. But when her own mother, Rose, is transformed into a bird and stolen she will have to travel to dangerous and fantastical places she never imagined existed and find an inner strength she never knew she had to not only save her family but also to survive. Accompanied by her younger brothers, George and Speedy, and the surly and mysterious Duke Badger, the small group ventures into The Dreamlands. There are dreamers who can create entire worlds in themselves, terrifying monsters, and undiscovered dangers. Even Badger and his cat Pinch are hiding some dramatic secrets. Will Nell find the courage and strength to not only save her mother but all of Dreamlands from the horrible witches of the Wicked Places? At nearly 400 pages, this hefty fantasy is not for the faint of heart reader - especially once they encounter the terrible nightmares that haunt its pages. Yes, there are killer clowns. Literally. It’s an imaginative, fantastic trip into a strange world but I did think the trip was a little long. 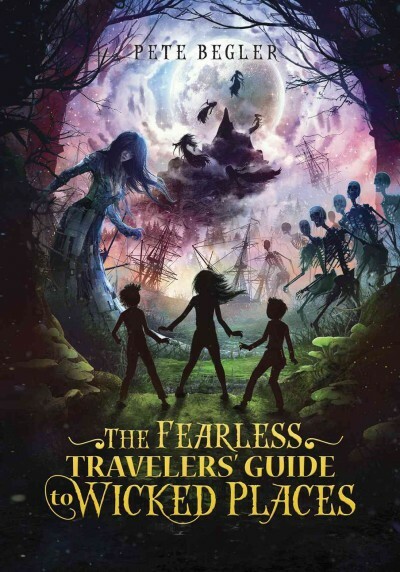 Some of the lengthy musings on inner strength and complicated descriptions of the weird dream world could have been edited down while some things like the origin and purpose of the Fearless Travelers isn’t really explained (or possibly I missed it - I kept getting interrupted while I was reading). Verdict: Not for every reader, but kids who appreciate a complicated fantasy, like creepy/scary vibes, and don't require series will appreciate this. Fans of Books of Elsewhere and Diana Wynne Jones will enjoy this. I've been looking forward to this new easy reader series, as much for Hughes' adorable illustrations as for my interest in seeing what the ever-creative Laurel Snyder comes up with next. We read several Snyder chapter books in book club last year (Bigger than a breadbox was a big favorite). 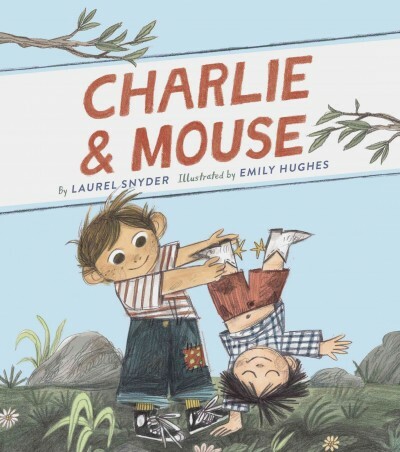 Charlie & Mouse combines both the classic feel of an easy reader, harkening back to the age of Arnold Lobel, and the modern sensitivity of a contemporary family. In a green room, Charlie wakes up. There is a lump in his bed and he pokes it. The lump is Mouse! Together they wake up their parents and set out for the day's adventures - a neighborhood party! Dressed and ready for the day, Mouse in a tutu and bobbly headband, Charlie with a cape, party hat, and sparkly wand, the family sets out for the park. Along the way they collect friends and when they arrive at the park it's party time! Further adventures include the complexities of money and rocks, and a silly bedtime ritual. The text is an intermediate level, difficult for a true emergent or beginning reader, but great for a 1st or 2nd grader who can read and focus on the more subtle humor at the same time. I love Hughes' illustrations. While there are a lot of earth tones, the silly, happy family shines through with reds and purples, greens and blues in their clothes, quilts, and and the mysterious plants in the yards. Their neighbors encompass an array of diversity, both in skin color as well as a gay couple. 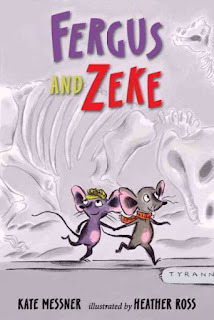 Verdict: This won't have the instant popularity of an Elephant & Piggie title, but its gentle humor will attract readers and make this a favorite choice of families. I've always loved Julia Denos' art and I was delighted with her first venture into authorship, Swatch. Now she ventures into new territory, writing the text for a new illustrator, E. B. Goodale. A dark-skinned child takes their dog for an evening walk, before curling up for a bedtime story with their mother. Simple? Yes, but the beauty of this story lies in the lovely art and the smoothly flowing words. Denos describes in loving detail the beauty of the evening neighborhood, "little windows lit up like eyes in the dusk," as seen through the windows of the apartments and houses on the street. Parties, television, or just sitting and reading, the child quietly admires the peaceful scene, greeting neighbors and enjoying their neighborhood settling down for the night. 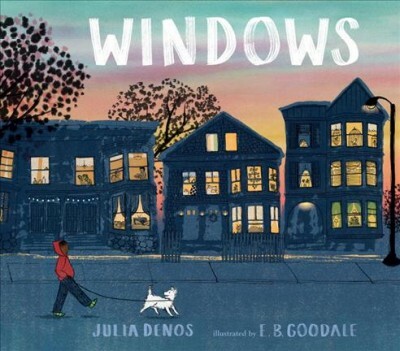 Goodale's illustrations range from the sharp details in the windows - a tiny sewing machine, bird cages, families settling down for the evening - to the glowing colors of the sunset. Brownstones, blurred cars along the streets, a startled raccoon searching for dinner, and the softly brushed colors of flowers in the evening all contribute to a scene of quiet community. Verdict: A lovely bedtime or storytime tale, perfect for quieting down after a day of busy activities or just enjoying the reflection of the evening's beauties together. This is not only a lovely melding of words and pictures, it may also inspire families to take an evening walk and see what their neighborhood has to offer. Recommended. National Geographic children's books vary widely from popular factoid books to more in-depth research titles. Today I'm looking at two of the more factoid type books dealing with a popular subject - animals. Cat Tales is a small, compact book filled with cute, funny, and interesting stories about cats. The stories are divided into sections like "Adventurous," "Caring," and "Curious." There are stories about cats like Dodger, who rode a bus in England every day, Bagel who has an eye condition that requires sunglasses and raises money for cats in need, and Monty who could detect when his owner had low blood sugar. 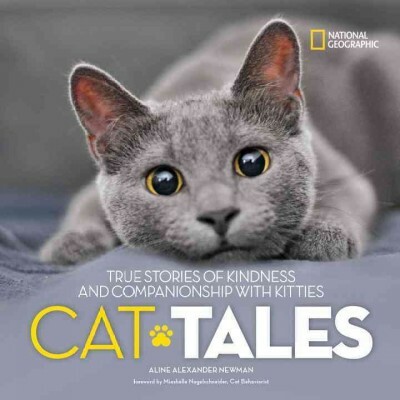 Mixed in with the stories are photos of cats, facts about cats, historical information, and answers to cat questions from veterinarian Dr. Gary Weitzman. There is a forward by Mieshelle Nagelschneider, founder of a clinic for cat behavior, and a section at the end about taking photos of your cat. The final spread includes books, movies, and organizations to learn more about cats and help them. The second animal book actually includes some of the same cat stories. 125 Pet Rescues tells stories of animals rescued, rehabilitated, adopted, or kept in sanctuaries. The book begins with a foreward by Gregory Castle, CEO of an animal shelter and an enconium for shelter staff and patrons. There are a handful of stories about various rescued animals then the stories are divided into roughly similar groups. Pit bulls, animals that are friends with other animals, animals involved in sports, friendly animals, animals from history and many more. Most of the stories are a few paragraphs long, paired with a photograph and occasionally some cute speech bubbles. The layout includes National Geographic's usual bright orange, yellow, and blue color scheme. 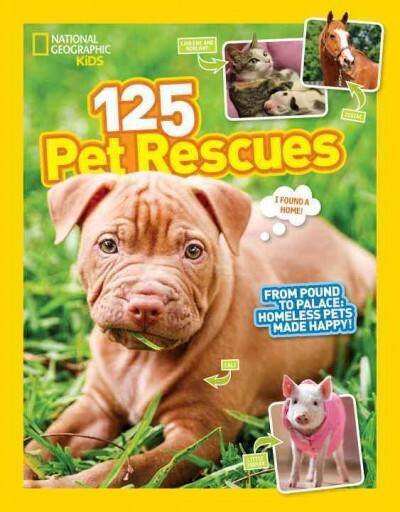 The final pages include ways to get involved with helping animals, an interview with an educator who teaches about humane treatment of animals, and an index and photo credits. Generally, this book felt more like a lengthy magazine than a narrative. Kids will love the sweet stories of animals and all the adorable photographs. I'm always a bit....doubtful about so many stories of animals with severe injuries or disabilities though. Somehow it just seems weird that people spend so much time, energy, and money on these animals and I'm a little skeptical about the quality of life they have. It's a sharp contrast to how humans with disabilities or special needs are often treated or viewed. I'm really not sentimental about animals though, so I know a lot of people feel differently. And kids really love animals so these books are sure to be hits. Verdict: Not necessary purchases, but for reluctant readers and browsing these are a good addition to your animal sections. Sure to be popular with pet lovers and those who enjoy cute cat videos on the internet. Last fall I received a $500 LSTA mini grant to add maker kits to my teen area upgrade. I focused on hands-on items, rather than technology, since our schools already have a lot of tech and labs. We ended up putting out various items (button maker, marble run, etc.) out on different days when the youth services desk was staffed. This ended in May - most of our teens mysteriously vanish in summer and there were a lot of other things going on (apart from summer reading) that needed to be dealt with. One of my projects in August was to revamp the teen maker space into a more accessible version and one of my new associates, Maria, helped a lot with this, especially in adding in more tech. She's going to focus on getting teen activities, marketing, and social media off the ground for the short time we're lucky enough to have her and the maker space was our first project. We ended up moving the marble run to the school-age area, as that was where it got the most use. I also replaced a number of missing items like our fidgets and nail art and added a lot of art supplies. There are some additional items Maria is working on - a stop-motion animation app on our spare ipad with clay for example. I also plan to borrow materials from our consortium's tech library to have available on a limited basis - I hope to have the ozobots available in October for example. The kids don't need a library card unless they are borrowing something that connects to the internet. I'll count the checkout cards to count participation. The only problem I anticipate is younger kids wanting to use the materials - I'm going to stay firm on not allowing that though. I expect the teens to be able to use all the maker space materials themselves with minimal instruction or assistance and that simply wouldn't work for younger kids. Also, the volume of younger kids who would want the materials would use them up so fast there would be nothing left for the teens! I'm fine with caregivers sitting down with teens with developmental disabilities to use the teen maker space though - that's absolutely ok. I'll be continuing work on our school-age/juvenile area (haven't figured out a good name for this yet) and the children's play area to make sure all our age groups have a space just for them as well. We're using the rest of the teen budget to revive Middle School Madness for the rest of the fall and add a couple teen programs. Next year there are several things I'd like to add; as well as consumables and supplies, I'd like to add cardboard makedo kits, paper circuits, and Bloxels (although that last might or might not be in the budget). months later, something ate it. I'm running a survey for parents and caregivers of kids with special needs - one of the things I'm working on, inspired by that, is getting our publicity to be more inclusive and make it clear that kids of all abilities are welcome at programs. Different libraries have different needs, but I talked to Pattie and we agreed that older kids (or even young adults) with developmental disabilities would be welcome at storytime as long as a caregiver was present. The first Bea Garcia book has been very popular in my library. I used it in a book club and the kids loved it. I think they will be eager to read the sequel, but I'm not sure that I felt it was as strong as the first title. Bea is still struggling with the annoying Bert, who calls her bee names and her pesty little brother. She also still misses her best friend, Yvonne. But now she has hopes of a new friend - the amazing Judith Einstein who knows everything. When Bea gets paired up with Judith for a special assignment she's thrilled. But things don't go as planned - Judith wants to study instead of being friends, Bert is still bugging Bea, and her little brother ruins everything! Bea may have the magic touch, but she needs a little more magic to fix things. Like, maybe Einstein's magic pencil. If she just had that she'd have all the answers, right? The book is full of Bea's hand-drawn illustrations, from her brother as a frog to an "artist's conception" of a black hole. It's the perfect amount of illustrations for this age of readers, making this a notebook novel for the younger set. Bea is relatable and the other characters are fleshed out, from hints of Judith's personality quirks to Bert's sometimes over the top enthusiasm. 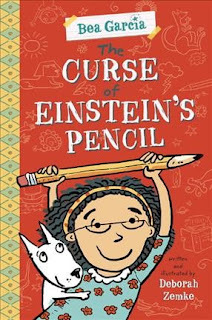 Some things that bothered me - I felt that Bea stealing Einstein's pencil and her feelings that it would make her smart were never really resolved. It turns out that Judith Einstein picked her as a partner so she could cover the imagination/drawing aspect of the test and they win fairly easily but for this age group I think there needs to be a little more clear explanation of the events and mistakes Bea made. I'm also a little skeptical that Bert's harassment of Bea is allowed to continue. Our schools here are pretty zero-tolerance on name-calling in the younger grades and I'm surprised nobody puts a stop to it. However, these are really minor quirks. 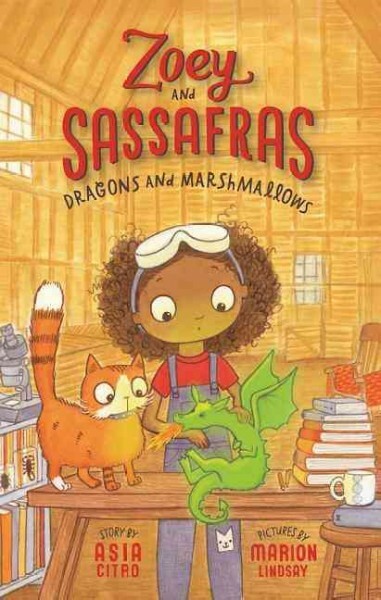 I love the diversity of characters included, Bea's ability to figure things out on her own and ask for help when needed, and how much this feels like a modernized Ramona book for 2nd and 3rd graders. Verdict: Definitely add, especially if you have the first book. Fans will be eager to find out what happens next and see more of Bea's art! The Brownstone family vault is full of mysterious, magical artifacts and Professor Brownstone is here to introduce readers to his family's history, starting with the very first Brownstone adventure. 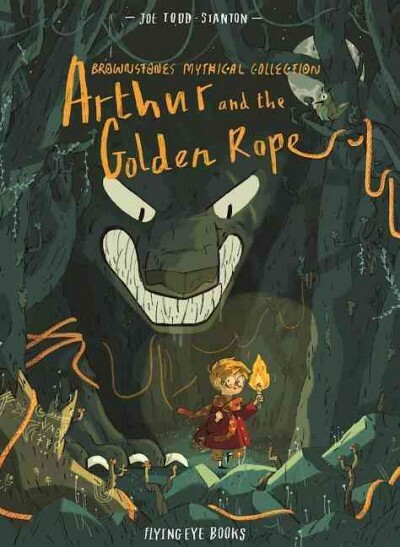 Arthur is an odd child living in a small, isolated town in the mountains of Iceland. To the amusement and annoyance of his family and the townspeople, he befriends the strange and magical folk he finds and collects magical artifacts from his new friends. But one day a giant black wolf attacks the town. The fire is put out and the bravest warriors of the town are injured. Despite the anger and disparagement of the townspeople, Arthur decides to set off on his own and follow the hints of their wise woman, seeking Thor to relight their fire. But the journey is long and dangerous and his adventures don't end when he finally finds Thor. This isn't a typical graphic novel, more of an illustrated story. The story is told with rectangular panels of art and chunks of text. The panel edges are loosely defined and while the layout is clear it doesn't have the traditional progression of a story told in panels. The illustrations are finely detailed; runes, tiny goblins, sea serpents, and more dot the pages. There isn't a lot of emotion or movement in the faces of the characters, but the story is more of a legend than a novel. One can see finding this in an ancient scroll or the walls of a cave and watching the story unfold. Verdict: While this won't have the broad appeal of the more cinematic titles like Bone or Amulet, fans of Flying Eye's other publications and readers who like rich, detailed stories will devour it eagerly and be impatient for the next chapter in the story of the Brownstone's adventures. This title is from a new mini-series in Bearport's Little Bits! nonfiction easy readers line. 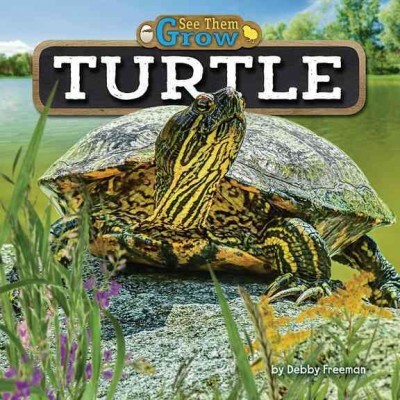 "See them grow" uses simple text and photographs to show young readers the life cycles of a variety of creatures. The book opens with a basic description of a painted turtle. It mates with a female, who lays eggs. There is a spread showing the embryo growing inside the egg, then a description of hatching. The turtle's first days and weeks of life, including predators and other dangers, are described. Finally, it is an adult. Additional turtle facts are included at the back. There is also a glossary, index, a couple additional titles, and a link to the publisher's website with more information. There are several questions and additional facts sprinkled throughout the book to encourage readers to think about the narrative. I'm always a little reluctant to purchase series nonfiction for easy readers. It's not the standard size and it's twice as expensive as the average hardcover. This is quite a decent title, although I wouldn't have bothered to include "mate" in the glossary, especially when the definition is "to come together to have young". However, I have been getting a lot more requests for nonfiction at various levels due to new school curriculum. I think this series will probably be very useful for those units on nonfiction at a lower reading level. Verdict: If you have the budget to purchase more expensive easy readers and a need for more nonfiction at this level, this is a good addition. You never know what Marino is going to do next! Here she tells a funny and ironic story...about a dead fish. 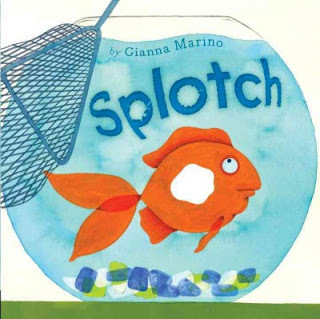 A child of indeterminate gender has a goldfish named Splotch. Whilst at school, the fish goes belly-up. Mom, frantic and panicked, hastily disposes of the fish and when the child laments that Splotch has "run away" promises he'll be back soon. Sure enough, a quick trip to the fish store the next day and Splotch is back! The child is satisfied with the replacement...until she wakes up in the middle of the night with a sudden realization... "MOM! Splotch has been CHANGED BY ALIENS!!" A few more substitutions and the right "Splotch" is back, with no one the wiser...maybe? End papers show Splotch nervously avoiding the net at the store at the beginning and miraculously reviving after a trip through the plumbing in the end, adding another hilarious aspect to the story. Verdict: Don't read this to sensitive kids and be prepared for some parents to be a little shocked, especially if they are among those who choose not to introduce their children to death in any form, but for those snarky kids and their adults this is a hilarious fish tale. This is a picture book biography I can get behind and cheer for! A young Margaret sees inequality in the world from girls not playing baseball to no mommy longlegs! She determines to follow her own dreams and studies everything she's interested in - but especially math. 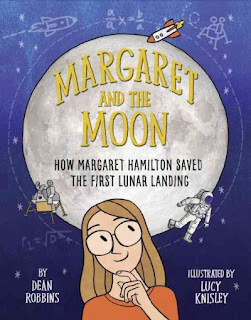 Eventually, Margaret discovered computers and began writing code. With all her hard work, she was ready to help NASA send a rocket to the moon, eventually being put in charge of software programming. Margaret's hard work paid off and got the astronauts safely to the moon. An author's note gives more information about Margaret's life, historical context, and Margaret's continued career in mathematics and computers. There is also a brief bibliography and additional reading as well as a spread of photographs from Margaret Hamilton's life. The text is brisk and simple, giving enough context for readers and listeners to follow the story without overwhelming with text or making the story confusing. I often feel the problem with picture book biographies is that the audience is too young to understand the ideas and context presented or there is an assumption of a lot of historical knowledge readers don't have. This book hits the right note, creating a relatable story with simple explanations of math and science and Hamilton's work. Verdict: I very rarely recommend picture book biographies, but this one could actually be used in storytime and will be quickly checked out without additional urging by the librarian! Promote to kids interested in science, comics, astronomy, and space as well as girls doing interesting things. Last week before summer officially ends and fall, school, and fall programs begin. My new staff started this week, I had all my summer reports (including grants) due, ordered fall supplies, working on planning (I never get all the planning done) and many, many other things. See you in the fall! 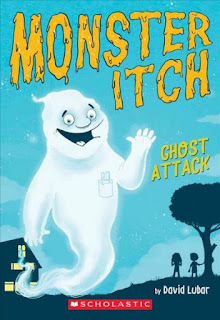 I accidentally started this series with the second book, Monsters and Mold, but then I went to ALA and got a signed copy of the first book! Of course I had to read it and fall in love all over again. Zoey is watching her mom work one day when she sees a picture...that shines! Zoey's mom is delighted when she finds out that Zoey can see magical creatures and she tells her the story of how she first came to be friends with and help magical creatures. When Zoey's mom goes out of town, Zoey gets her chance to help some magical creatures on her own and the first one she meets is a sick dragon! 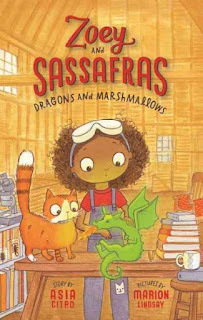 With some scientific experiments and the support of her cat, Sassafrass, Zoey figures out what's wrong with the baby dragon. Until it all goes wrong! Can she help the baby dragon or will she have to call her mom back home? Sigh. So perfect. Zoey is bright, curious, and ready to experiment. She makes mistakes and knows when it's time to ask for help, but she's also an independent girl with plenty of determination and scientific smarts. The magical creatures are delightful and the cute drawings are an additional bonus. Readers and teachers who love science will enjoy the mix of experiments, scientific method, and the helpful glossary of scientific terms. Verdict: Still in love with this series! I can't wait to use them in book club and I strongly recommend that every library add them.